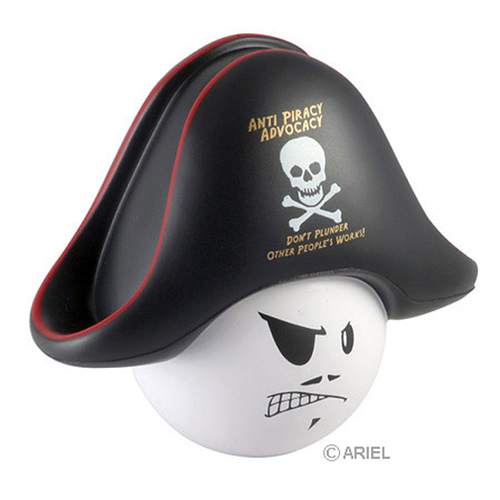 Our Pirate Mad Cap stress ball is ready to steal sales away from your competition. You can put a custom imprint on a pirate mad cap stress reliever and hand them out at fairs, restaurants and themed parties. These pirate mad cap stress balls are fun promotions to give-a-way and to squeeze. Item Size : 3-1/2" x 3-1/8" x 2"